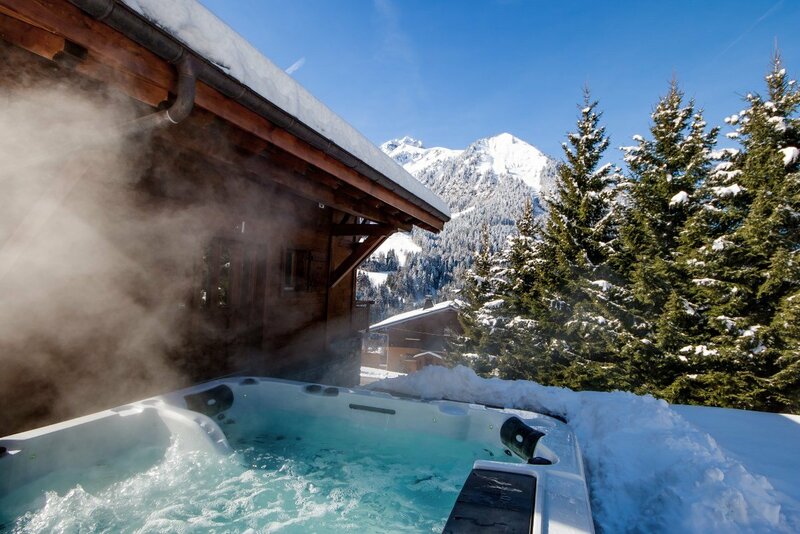 Chalet Soleil was built and designed by the owners in 2012, it is an outstanding luxury chalet built in a traditional Alpine style.We have created the ultimate mountain retreat with huge open living spaces and our outdoor hot tub has spectacular views of both the Dents du Midi and the Mont de Grange.Chalet Soleil is owner run and boasts a large living room and stunning open log-fire, a TV & game console room and beautiful en-suite bedrooms, with TV and WiFi.At Chalet Soleil we offer quality, comfort and a personal service with all those little touches you would expect from a luxury chalet. We have double and twin rooms available with some fantastic views of the mountains, we can also cater for families, all rooms have t.v and en-suite bathrooms. 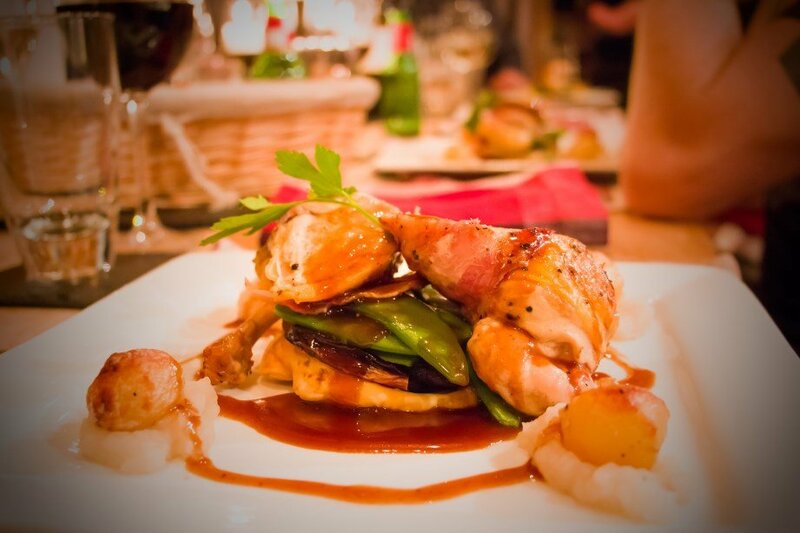 At Alpine Majestic we pride ourselves in our cuisine, we have gone all out to make sure we source the finest local produce. Mealtimes play an important part of the experience. 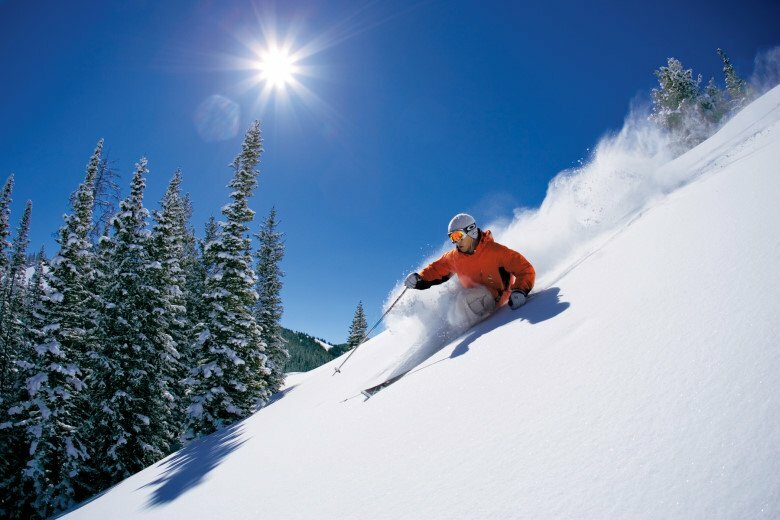 "I can guarantee that Alpine majestic will not disappoint and we will definitely be returning again in the future to enjoy Ian and Joanne's fantastic hospitality and their wonderful chalet. If this holiday does not far exceed your expectations I would be very surprised." "The whole experience is great, the decor, the furnishings, the hot tub, the food, the location, everything! I can't think of a better place to be in the Porte de Soleil. Jo and Ian, you should be so proud of yourselves, what you offer your visitors is amazing." "Loved it! 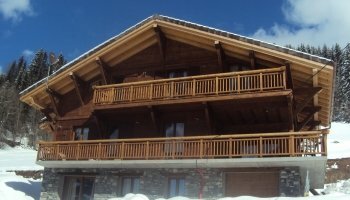 Amazing chalet with brilliant hosts and excellent food & drinks. We were made to feel amazingly welcome and Ian & Jo the owners couldn't do enough for us! 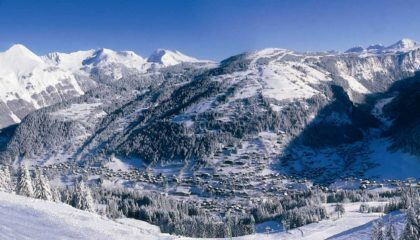 The chalet host and cook were superb too and very welcoming." 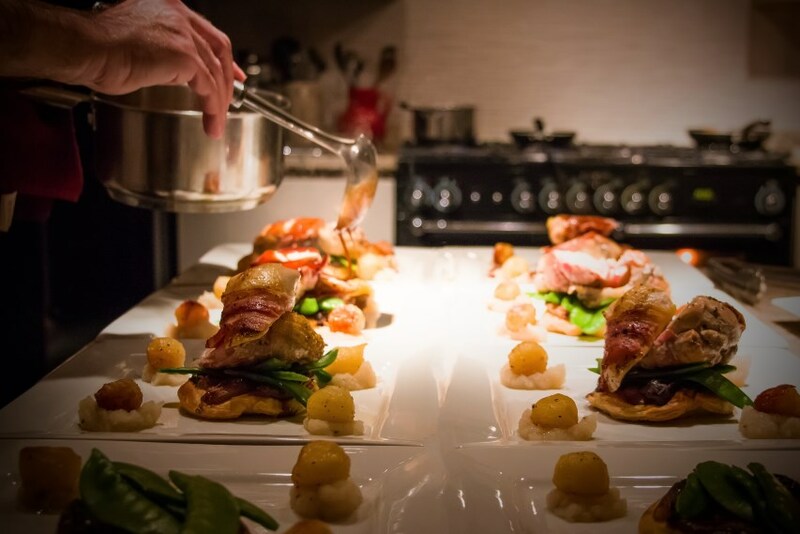 "I had only been skiing a couple of times and never in a catered chalet so I was blown away by this chalet experience. Every detail thought of - down to a different chocolate on your pillow every day. 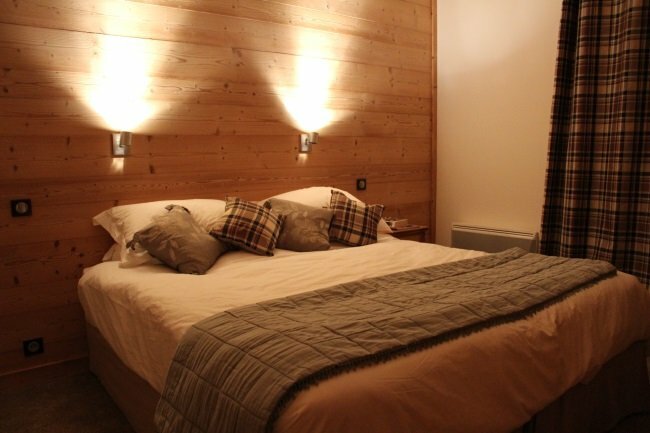 The chalet is beautiful and finished to a very high standard down to every light switch. " 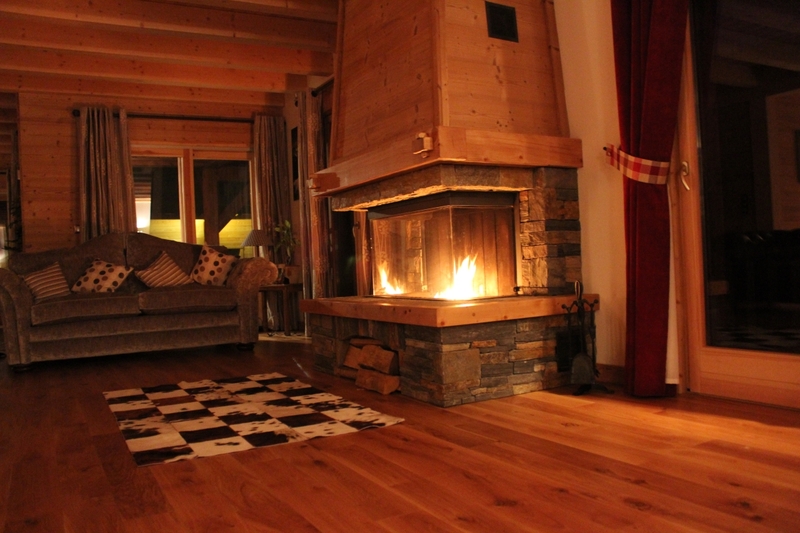 "This Chalet is incredible , full of class but still retains a magical homely feel. Ian and Joanne are wonderful hosts, supported by a great chef Rob serving up magical food that would be welcomed in any top restaurant This is the Best Chalet I have ever stayed in , I am a seasoned skier having traveled extensively thru Europe and America I give a guarantee that once you sample the magic of this Chalet and Chatel you will not need or want to go else where"
"We were welcomed by the owners Jo and Ian and their beautiful little girl, with champagne and a smile, you are made to feel at home straight away. 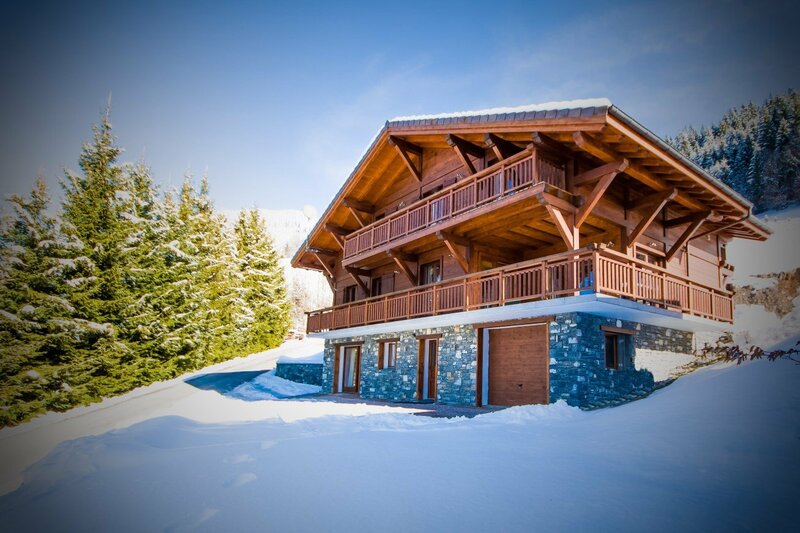 Not only is the area beautiful but the interior of the chalet is gorgeous, each and every room is really clean and finished to a very high standard. You feel very spoilt! 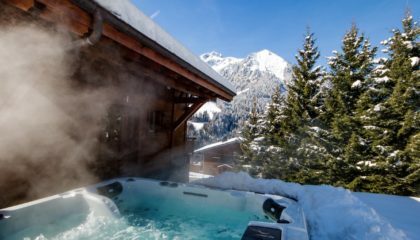 Having access to a jacuzzi, a comfy bed each night and beautiful relaxing surroundings made this a ski holiday I will never forget. I will definitely be going back. " Want to go straight to the rooms?